(1) The parts introduced the complete module production, high tension aluminum alloy precise manufacturing models. 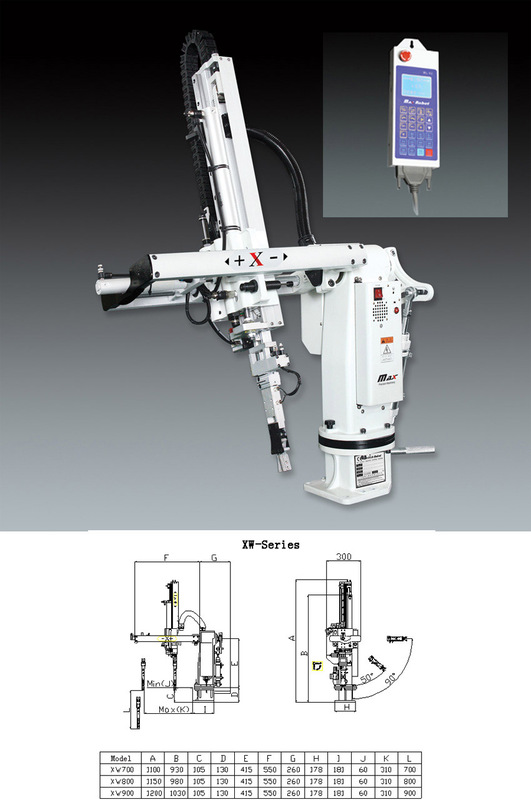 (2) The pick arms are introduced by extruded high tension aluminum alloy. It provides high stability, constantly, bear to whet and long life. (3) Introduced the world famous brands in our products, as pneumatic cylinders from SMC, big flux timing connect and windpipes from LEGRIS (France) and PISCO (Japan). (4) We incorporate world famous brands as standard components in to our products. 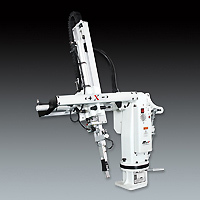 Such as SMC from Japan, RUBS High-Speed Pneumatic Cylinders, LEGRIS controls from France, PISCO Precision Adjustors and Connectors from France. *Well-Lih robot arms has reached the Euro-map & SPI level, it can be connected with any of the Europe injection molding machines and for all world users.